Bianca came to us a mentally fragile dog. Literally afraid of her own shadow. She would hide under her owner's chair during class and not want to participate. After months of diligence, patience and training, Bianca is now a happy, well-balanced and confident dog. She has passed her Canine Good Citizen test, demonstrating she has manners in public and is now capable of competing in an AKC sanctioned event called FASTCAT. Here at Care-A-Lot® Pet Supply, our goal is to build a better relationship between you and your dog. We are dedicated to helping make your pet a content, well-mannered member of your family. Since a happy dog requires more than just knowing commands, our training program will include a wide range of techniques to ensure that ALL of your pet’s needs are met. To make sure that training is both easy and fun for everyone, our program promotes positive reinforcement. This form of reward-based training ensures that all family members may be involved and will enjoy the training process. 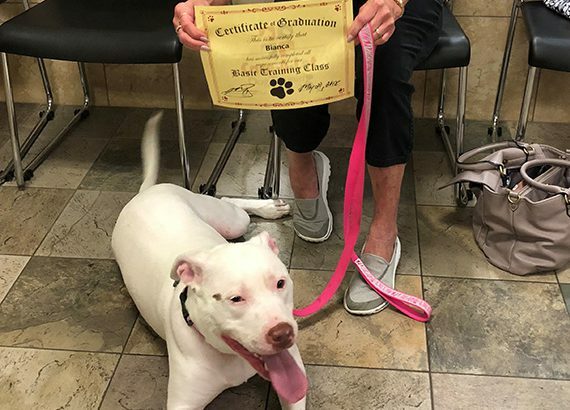 Our knowledgeable and caring trainers are not only available to assist in training your dog, but also to give you the tools necessary to successfully continue their training long after your class ends. Care-A-Lot® Pet Supply offers all levels of training to accommodate the needs of you and your dog. Our classes are structured to allow your entire family to participate in the training process. In addition to our group training classes, on-site private tutoring is available for those owners looking to focus on specific commands or who might have scheduling conflicts with the group classes. Dogs enrolled in either the Intermediate or Advanced Classes will also be prepared to complete the AKC Canine Good Citizen Test. Any qualified dog is eligible to take the AKC Canine Good Citizen Test, even if they have attended classes at another training facility. For additional information & pricing call our Training Manager at (757) 457-9430. 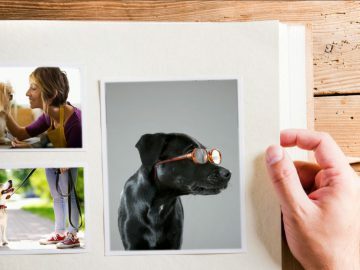 The goal of our eight week training courses is to build a better relationship between you and your dog and help your pet become a content, well-mannered member of your family. Our programs teach a wide range of techniques to ensure that all of your pet’s needs are met. We work on sit, stay, down, recall, focus, wait, leave it, take it, drop it and reinforcing the dog’s name. We have discussions and exercises on discouraging bad behaviors, potty training, crate training, nutrition and socialization. Homework is given to ensure the dog’s training carries into your home environment. Loose leash walking is another big focus. In week three, we invite you to take part in another one of our programs called Pack Walks (see below). During this outing the trainer will be on site to help you with leash skills in a real world environment. We culminate the course with one final cue called “go make a friend,” where we introduce the dog to multitudes of people with guidelines to establish manners when greeting people in public. At the end of the course you and your dog will leave with a diploma, a valuable new skill set and a strong sense of accomplishment. Introducing Care-A-Lot Pet Supply Pack Walks! Pack walks are a terrific opportunity for any dog to socialize and learn impulse control around people and canine pals. Whether you have a dog that is a shy, reactive or a social butterfly but prefers calmer, on-leash social interaction; pack walks are a perfect fit for you and your dog. Pack walks can benefit any dog, but they’re especially helpful for dogs that tend to be overly excited or reactive (pulling, barking, lunging). They can help desensitize dogs to chaotic environments, other dogs and people, in a more controlled setting. Pack walks build the foundation of any dog-human relationship, making daily walks more enjoyable in new locations and at home. Contact us today to learn more about our pack walks. Positive, interactive classes which emphasize leash walking, focus, and basic commands including sit, down, stay, and come. Age specific behavioral issues including potty training, chewing, jumping, digging, barking and more. Safe controlled socialization to get your puppy off to the right start. For dogs that have completed a Puppy or Basic course. Classes emphasize commands including heel, wait, on your bed and more. They will build on basic commands by adding new distractions such as toys and other dogs in closer proximity and they will continue socialization with people and other dogs. Pack walks are a terrific opportunity for any dog to socialize and learn impulse control around people and canine pals. 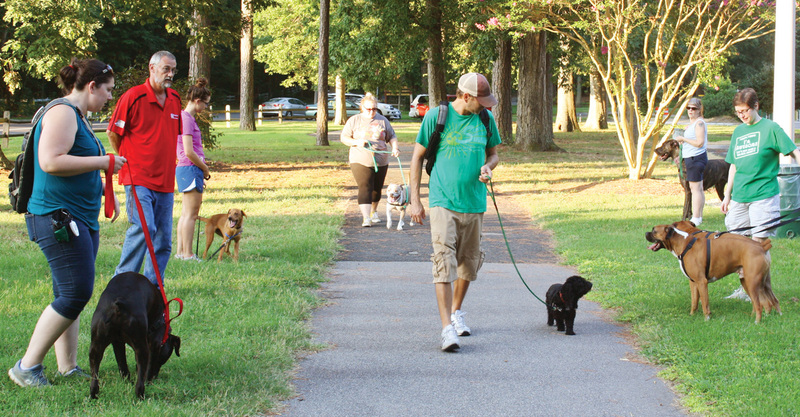 Whether you have a dog that is a shy, reactive or a social butterfly, but prefers calmer, on-leash social interaction; pack walks are a perfect fit for you and your dog.